"Remix: Making Art and Commerce Thrive in the Hybrid Economy." The sixth lecture in Evan Korth's NYU Computers and Society course featured Professor Lawrence Lessig of Stanford University. His topic, the subject of his recent book, was "Remix: Making Art and Commerce Thrive in the Hybrid Economy." Educators, librarians, and other interested parties can obtain a DVD of this talk by emailing dvd@isoc-ny.org - ask for DVD1477. 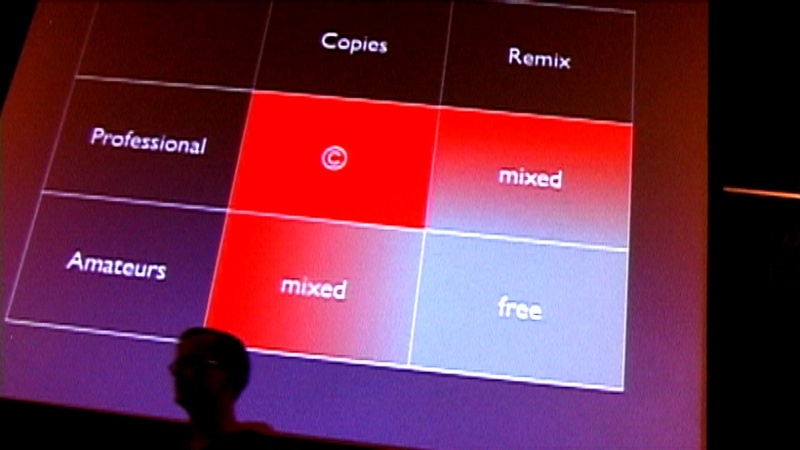 More information, the means to purchase and, potentially, to download the book can bE found at http://remix.lessig.org/.